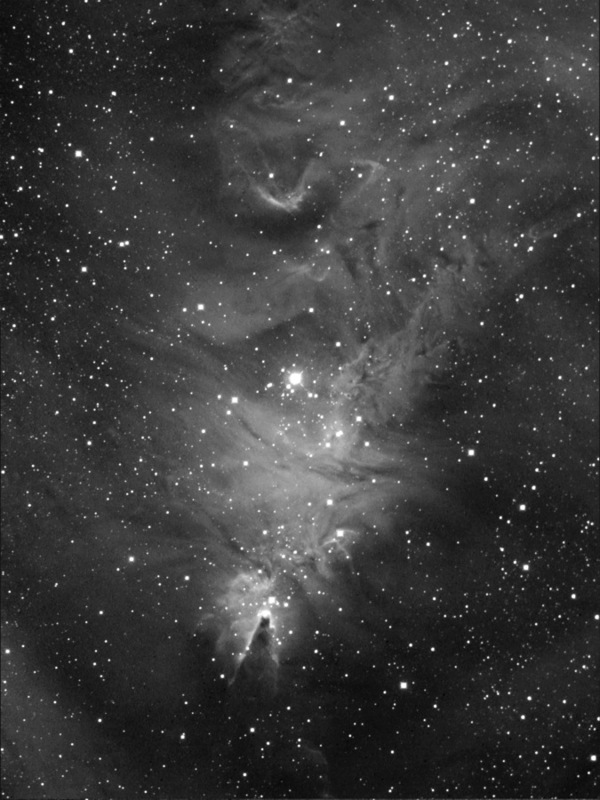 William Herschel discovered the Cone nebula in 1785. The entire nebula is designated Sh2-273, the open cluster is NGC2264. Fifteen 20 minute exposures. Filter: Custom Scientific 4.5nm H-alpha.